A brilliant new collection of stories from one of the most acclaimed and beloved writers of our time. Alice Munro’s peerless ability to give us the essence of a life in often brief but always spacious and timeless stories is once again everywhere apparent in this brilliant new collection. In story after story, she illumines the moment a life is forever altered by a chance encounter or an action not taken, or by a simple twist of fate that turns a person out of his or her accustomed path and into a new way of being or thinking. A poet, finding herself in alien territory at her first literary party, is rescued by a seasoned newspaper columnist, and is soon hurtling across the continent, young child in tow, toward a hoped-for but completely unplanned meeting. A young soldier, returning to his fiancée from the Second World War, steps off the train before his stop and onto the farm of another woman, beginning a life on the move. A wealthy young woman having an affair with the married lawyer hired by her father to handle his estate comes up with a surprising way to deal with the blackmailer who finds them out. While most of these stories take place in Munro’s home territory—the small Canadian towns around Lake Huron—the characters sometimes venture to the cities, and the book ends with four pieces set in the area where she grew up, and in the time of her own childhood: stories “autobiographical in feeling, though not, sometimes, entirely so in fact.” A girl who can’t sleep imagines night after wakeful night that she kills her beloved younger sister. A mother snatches up her child and runs for dear life when a crazy woman comes into her yard. 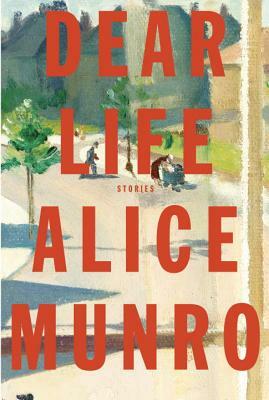 Suffused with Munro’s clarity of vision and her unparalleled gift for storytelling, these tales about departures and beginnings, accidents and dangers, and outgoings and homecomings both imagined and real, paint a radiant, indelible portrait of how strange, perilous, and extraordinary ordinary life can be. Alice Munro grew up in Wingham, Ontario, and attended the University of Western Ontario. She has published twelve collections of stories and two volumes of selected stories, as well as a novel. During her distinguished career she has been the recipient of many awards and prizes, including three of Canada’s Governor General’s Literary Awards and two of its Giller Prizes, the Rea Award for the Short Story, the Lannan Literary Award, England’s W. H. Smith Literary Award, the United States’ National Book Critics Circle Award, the Edward MacDowell Medal in literature, and the Man Booker International Prize. Her stories have appeared in The New Yorker, The Atlantic Monthly, Harper’s Magazine, Granta, and other publications, and her collections have been translated into thirteen languages. Alice Munro lives in Clinton, Ontario, near Lake Huron. GGP Welcomes Abby Maslin, author of Love You Hard: A Memoir of Marriage, Brain Injury, and Reinventing Love, on Friday. April 19th at 7:00 p.m. The School for Good and Evil by Soman Chainani; reviewed by Kate C.
The Beginning of Everything by Robyn Schneider; reviewed by Julia K.